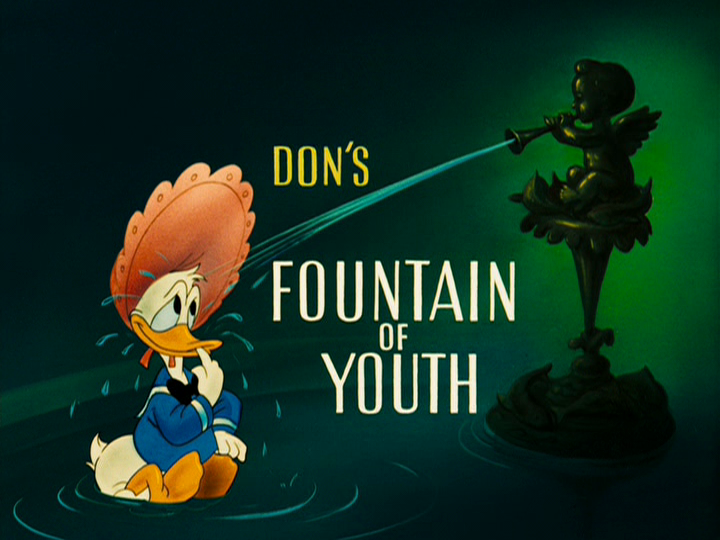 On May 30, 1953, the Donald Duck short film Don’s Fountain of Youth was released to theaters. It was directed by Jack Hannah, with story by Ralph Wright. Donald has been knocked out by the alligator’s tail, and lands on her nest, warming her remaining egg. The egg the boys were protecting is knocked from their hands and lands in front of Donald, and both eggs hatch simultaneously. Thinking Donald is their mother, the hatchlings cling to him, although he tries to get away from them. The alligator hears her babies’ cries and starts chasing Donald instead. He manages to escape her by climbing up a tree, which she soon chops down with her teeth. Donald lands on the ground and collapses, and the boys, mourning their uncle, are relieved to find him alive and back to his old self. 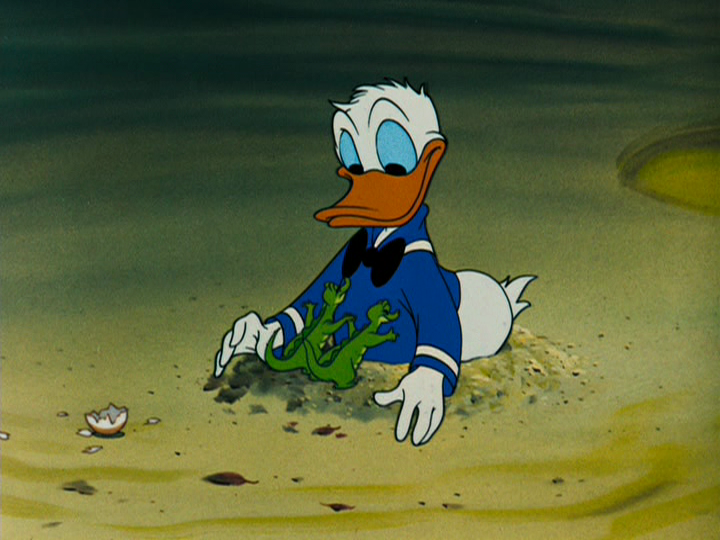 Donald quickly gathers his nephews and makes a break for it, leaving behind two very heartbroken hatchlings. Fortunately, they find their mother, who calls them close by imitating Donald’s voice. Posted in Uncategorized and tagged 1950s, Color, Donald Duck, Short film. Bookmark the permalink.